Unicaja Malaga announced that it has reached an agreement with American forward Jeff Brooks who joins the club with a one-year deal. Unicaja Malaga announced that it has reached an agreement with American forward (he can play at both the “3” and “4” positions) Jeff Brooks who joins the club with a one-year deal. 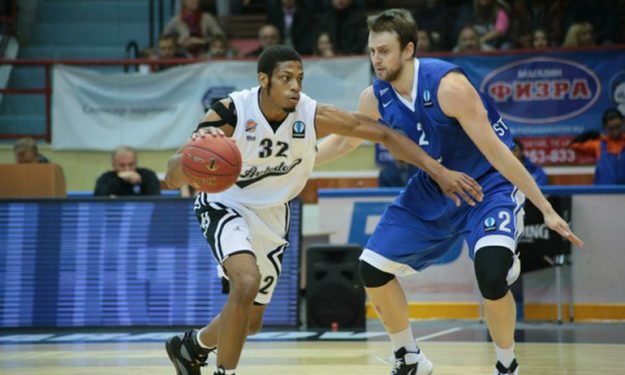 The 27-year old player spent the last season playing with Russian Avtodor Saratov recording some impressive numbers, especially in Eurocup where he averaged 13 points, 8.3 rebounds, 2.4 assists and 1 steal for an evaluation index of 21.3 in Eurocup. In the VTB League, he scored 11 points, grabbed 5.8 rebounds and dished 2.2 assists per game. He is a forward who can help his team’s offense in multiple ways, being solid with the ball in his hands, and quite able to threaten the basket from close, mid and long range.